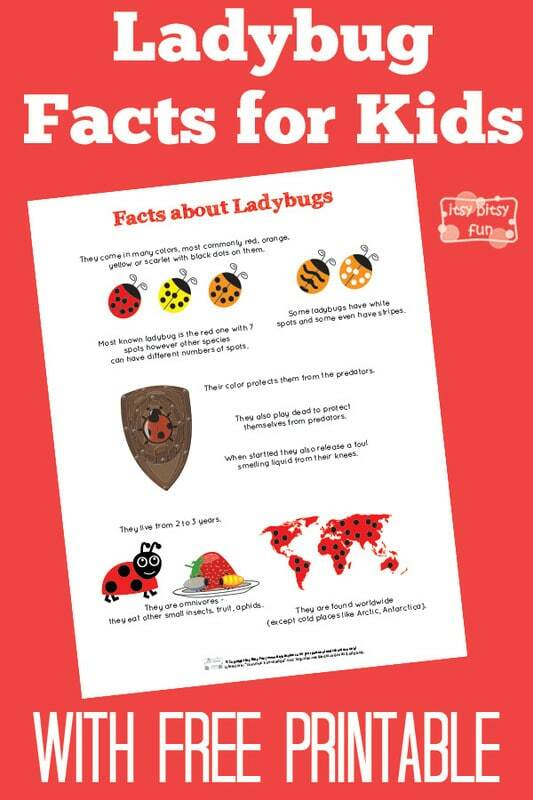 Lots of fun and interesting facts about Ladybugs! 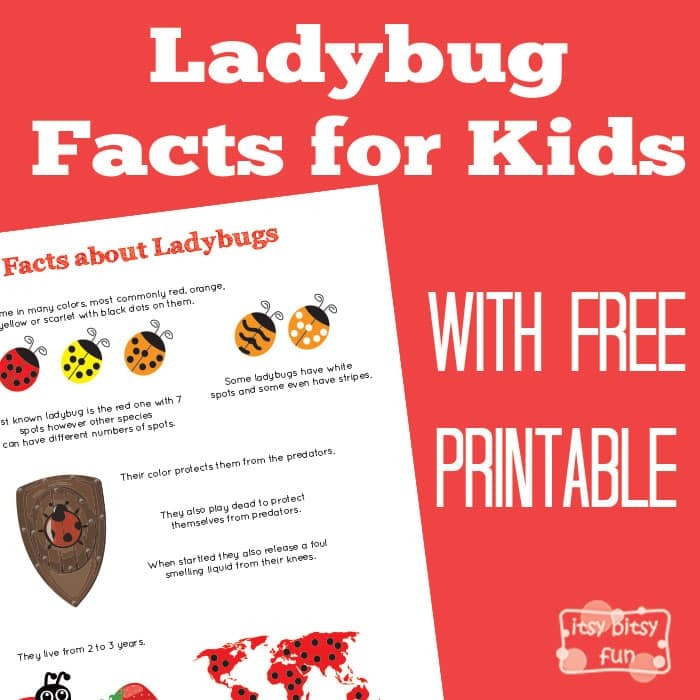 Let’s learn with facts about Ladybug for kids! Learning about things is easier with a quick sheet of fun fact for kids – they are easy to remember and are fun – chances are that once kids hear some of them they will know them for a lifetime! Ladybugs are one of the most adorable bugs there is (certainly a million times cutter than spiders – which I am dead scared off). They are said to be lucky and with their overall adorableness why wouldn’t they be? Let’s learn a thing or two about these bugs! They come in many colors, most commonly red, orange, yellow or scarlet with black dots on them. They are found worldwide (except cold places like Arctic, Antarctica). Some ladybugs have white spots and some even have stripes. Most known ladybug is the red one with 7 spots however other species can have different numbers of spots. Their color protects them from the predators. They also play dead to protect themselves from predators. When startled they also release a foul smelling liquid from their knees. They are omnivores – they eat other small insects, fruit, aphids. They live from 2 to 3 years.